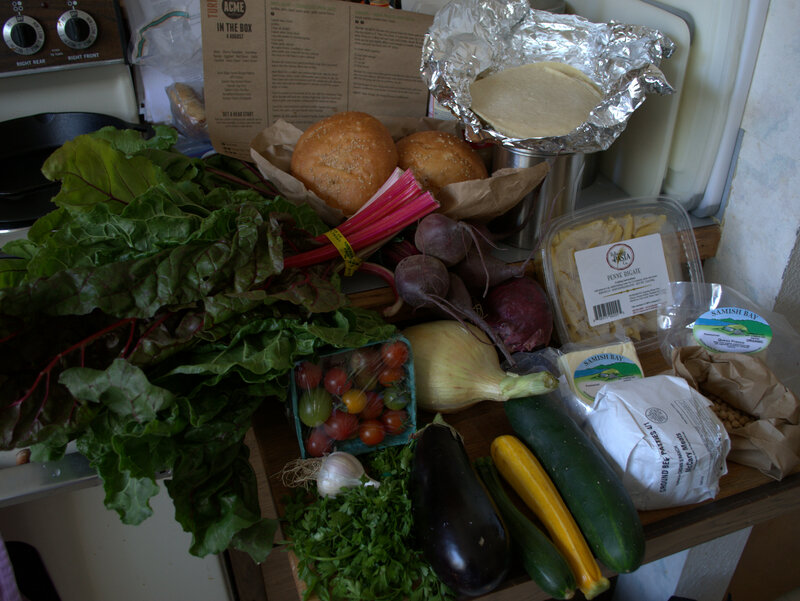 I picked up my CSA box for the first time in several months. I’ve been debating the merits of trying out one of the other food delivery services like Hello Fresh or Blue Apron. One of my friends has really been enjoying her Hello Fresh meals and they do look good. I love Acme Farms and Kitchen, don’t get me wrong, but I would like a little more variety. 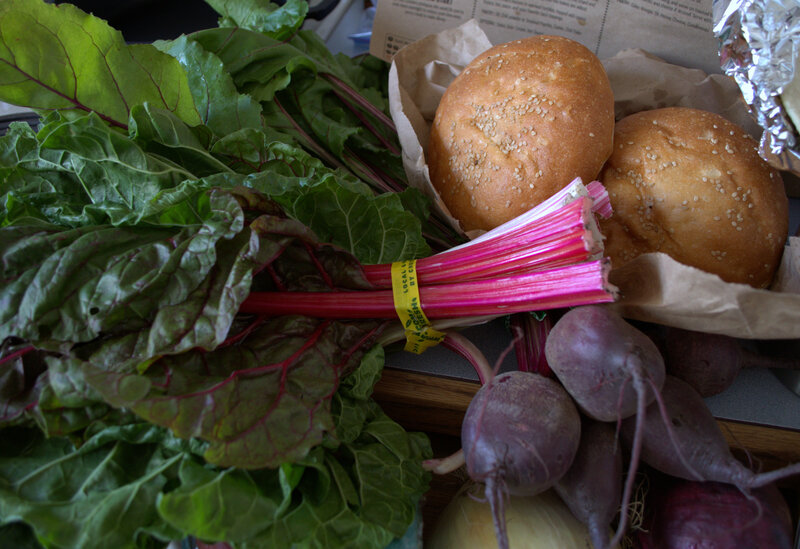 I love the thought of supporting our local farmers and food vendors so will stick with them for awhile. 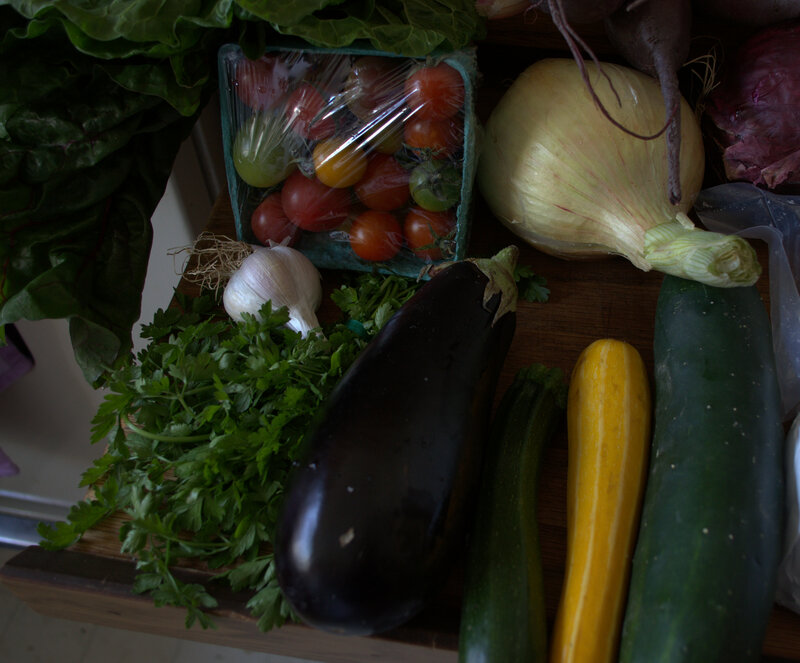 This week we received beets, cherry tomatoes, cucumber, parsley, eggplant, red onion, garlic, zucchini, Swiss chard, sweet onion, burger patties, fresh penne pasta, fresh queso fresco and feta, corn tortillas, sesame buns and chickpeas. Look at those cherry tomatoes and veggies. Those sesame buns will be perfect for burgers. Only problem is I just ran out of propane so need to make sure I get some soon! Grilled Ratatouille Pasta – I’m actually looking forward to trying this one. Greek Salad with Chickpeas – this one sounds pretty good as well.